Prime CG-PRO – Bio-Prime AgriSolutions Pvt. 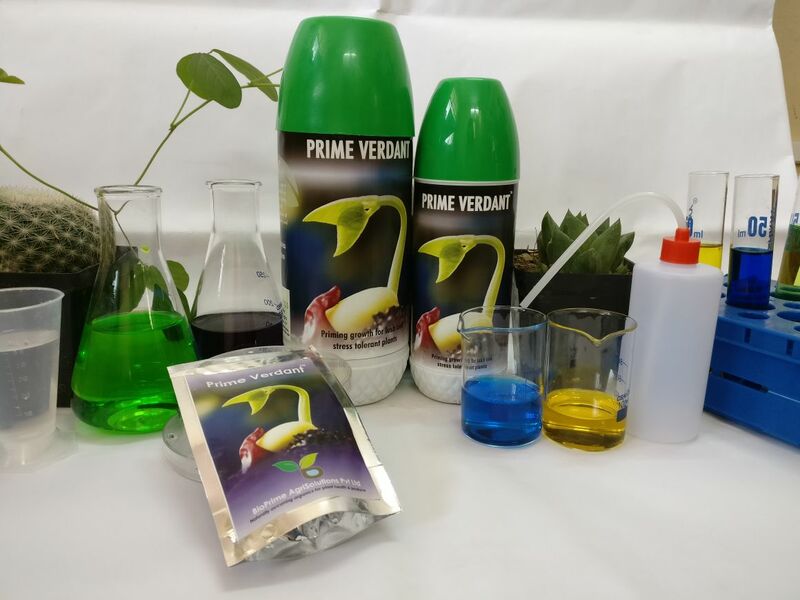 Ltd.
Prime Exotic, Aids adaptation of exotic plants to Indian climatic conditions and results in luxurious, stress free, vibrant plants. Antioxidant rich composition that allows sensitive exotics to flourish even in non-optimum conditions. Beneficial for flowers and ornamentals like Chrysanthemum, orchids, Anthuriums, Gerbera, carnations, Bromeliads Lilies etc. Effective for exotic vegetables like iceberg lettuce, capsicum, Broccoli, Zucchini, cherry tomatoes etc. & spices and condiments like thyme, rosemary, basil, celery etc. Prime Exotic, is a propriety blend of bioactives and nutrients, aiding adaptation of exotics to Indian climatic conditions. Contains a blend of vital nutrients and plant protecting botanicals. Dramatically increases survival. Leads to stronger and stress tolerant luxurious plants. Aids adaptation to Indian climate leading to strong & luxurious plants. Beneficial in seedling industry, nurseries, floriculture and horticulture sectors that make exotics. Field application results in stronger, healthier plants with high survival rate and boosts yield by atleast 30-40%. 1ml/ltr root application – Drip/Drench. First application after Immediately after plantation, 2nd application after 8 – 10 days of plantation, and once a month thereafter. 1.5 -1.7ltr per acre, depends on plant density. Organizations are racing to embrace the Internet of Things (IoT) as the pundits create “visions of sugar-plums dancing in their heads.